One approach to minimizing the risk of site isolation or cluster partitioning is to define as many networks as necessary to eliminate single points of failure. It is easier to implement serial networks in a local cluster by using the use of a null modem cable for an RS232 network or a disk heartbeating network over the shared SAN connection. It is more difficult to achieve this setup in a multisite environment that does not share any storage systems and presents a much larger distance between the nodes. In these environment, then use of an XD_RS232 network helps establish an extra heartbeating link between the two sites for added redundancy. The problem with local RS232 networks in general is the distance considerations. For example, a maximum distance by specifications is 50 ft. (15m). A cable with a signal or enhancer converter can extend the length, possibly to 500 ft. (152m). An option for shorter distances might be repeated RS232. This option might be useful for certain remote configurations, but most likely does not provide the distance that is required. RS232 without converters is up to 1.2 km (0.75 miles) at 9600 bps. For longer distances, converted RS232 and Serial over Ethernet are the viable options. The choice is based on distance and comfort, while using Ethernet and TCP/IP for the serial extension. Using true serial requires RS422/RS485 converters. These converters take the distance to 1.2 km at 19200 bps or 5 km (3.1 miles) at 9600 bps. In additon, the quality of the signal over the distance must be considered, making optically isolated repeaters an option. Opto-isolation used optical isolators to isolate two serial devices. Optical isolator is a common element that is used for asynchronous data applications such as RS232, RS485, and RS422 systems. With an optical isolator, only light passes between two serial devices. This process is performed with an LED and a photosensitive transistor. The usage of opto-isolated converters offers many benefits. Most importantly, it protects your RS232 devices from transient surges, ground loop, and remote lighting effectively. Optical isolation also eliminates ground loop and noise problems because the ground of two connected devices is separated. Using fiber optic modems/multiplexors for medium distances allows 20-100 km (12-62 miles), but must conform to the vendor’s specifications to avoid signal loss. Company such as Fiberstore makes devices that convert the electrical signals from an RS232 interface to light over a fiber connection, single mode, or multimode in some cases. (Click to buy RS232 fiber converter from Fiberstore) These devices are referred to as fiber optic modems or multiplexors. The quality of the fiber between the sites determines the distances that can be achieved. Devices are placed at each end of the fiber connection, and the AIX Power Systems is connected to the devices by using standard RS232 cables (and a null modern) to complete the RS232 network. The Serial Ethernet option provides the greatest distance by not defining any hard limitations, but is based on TCP/IP, which is one of the components that this type of network is designed to isolate. Planning the networks to avoid the use of the same networking infrastructure that is used for other networks, this options is viable. Also, it is key that the conversion to TCP/IP packets occurs in an external device to avoid the use of TCP/IP within the cluster node. An Internet search for Serial over Ethernet returns many vendors whi provide these type of devices. Enter the smitty hacmp command. Select Extended Configuration — Extended Topology Configuration — Configure HACMP Network Modules — Change a Network Module using Custom Values — XD_RS232. Change the parameter setting to 9600. Setting parameter=9600 makes the cluster use a bps rate 9600 instead of 38400. Propagating changes: Changes that are made in this panel must be propagated to the other nodes by verifying and synchronizing the cluster. 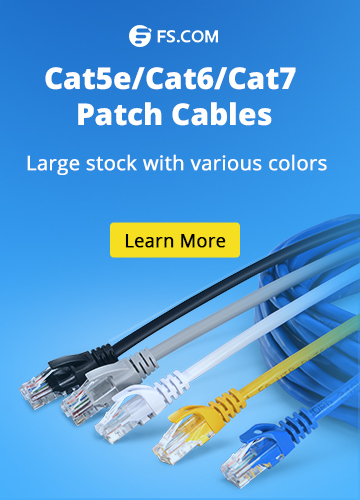 As one of the world’s largest supplier of fiber network solutions, Fiberstore provides the most comprehensive fiber optic products. 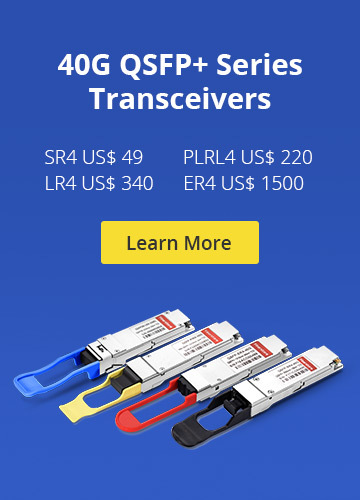 Besides the RS232 converters, Fiberstore can also supply the optical to Ethernet transceiver, fiber optic to Ethernet converter, and RS422/RS485 converters. Ethernet Network, RS-485/422/232 Converter RS232 fiber converter, Serial over Ethernet. permalink.